The labyrinth offers many different forms of the way yet the intention is the same.As with the labyrinth we interconnect with various paths over our life journey, in celebrating these points of commonality and inspiring each other with our unique labyrinth gift we walk together, belonging to each one . Mark Healy who has a 40-year working life as a nurseryman, landscaper, bio dynamic farmer, permaculture designer, builder, healer, group facilitator, and artist has always been highly creative. For 24 years Mark has been inspiring, designing and creating labyrinths, sacred symbol gardens as landscape features and he shares his Labyrinth love with a large audience creating labyrinth art installations at festivals. 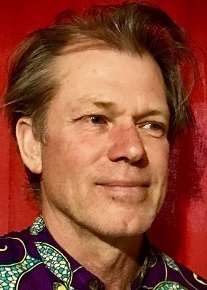 Mark has founded The Labyrinth Collective, is a Veriditas Trained Labyrinth Facilitator and Co-founder/ Vice President of the Australia Labyrinth Network. Eve Hogan is an inspirational speaker who specializes in helping people access their inner wisdom, achieve self-mastery and create healthier, more joyful relationships-whether it’s with Spirit, a loved one, or with one’s self in the form of self-esteem. Eve’s charismatic style captivates listeners and ignites people’s enthusiasm and joy for life. She leaves her audiences empowered and with the skills and the tools that will effect positive change in their lives. 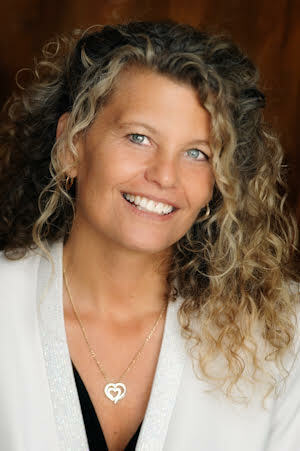 Eve specializes in Self-Esteem, Personal and Spiritual Growth and Relationship Skills. She also has an expansive amount of experience in entrepreneurial skills, working with kids and teenagers, journal and creative writing processes, problem solving and decision making skills based in critical and creative thinking, and spirituality. Eve has a Master’s Degree in Confluent Education, a teaching credential, a Bachelor’s Degree in Cultural Anthropology and an honorary Doctor of Divinity. She has worked in the schools both as a teacher and school counselor and has provided empowerment workshops for parents, teachers, counselors, entrepreneurs, college students and teens.